So, you’d like to be an RA? Great! 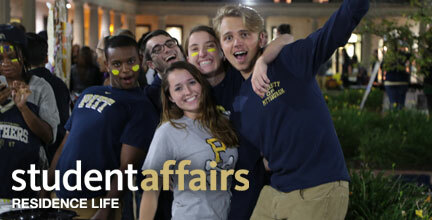 Becoming an RA is a great way to get involved on campus and make a difference in the lives of your fellow students. On this page you will find all of the information you need if you’d like to apply to become a Resident Assistant. RA Applications for the 2019-2020 are no longer being accepted. When you submit your completed application to the Residence Life office, our staff will review your application. After our initial review of your application, we will invite qualified candidates to participate in our Group Process Session. Please note that all RA Applicants must have a minimum 2.5 GPA (both cumulative and most recent term). Early in the spring semester we will hold multiple ‘Group Process’ sessions. Candidates will come and participate in small groups working on problem solving and other exercises. The dates, times, and locations of these sessions will be announced later. Select candidates will be invited to participate in an individual interview with a Residence Life staff member after we review the results of Group Process. After both the Group Process and Interview pieces, a select number of the remaining candidates will be invited to our RD Networking Event. There the candidates will have the opportunity to interact with current Resident Directors. Finally, we will extend offers to candidates for RA positions. We will also extend offers for our “Eligible for Hire” pool. Eligible for Hire status means that you are in our process as an alternate. Every year we go to this pool to fill additional openings as they arise. During the last five weeks of the spring semester, candidates who have been offered a definite RA position and candidates in our Eligible for Hire pool will participate in a training workshop. It will meet once a week and cover topics that you’ll need to know as a Resident Assistant.